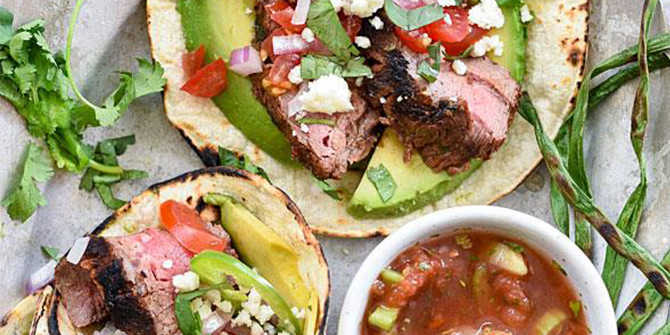 With Taco Tuesday giving us an excuse to eat tacos once a week, one might think there’s no need for a National Taco Day. Well, we love our tacos in the U.S. – we ate more than 4.5 billion last year! – so of course there’s national day to honor this versatile food that is equally delicious for breakfast, lunch, dinner, a snack or even dessert! Here are some suggestions that show the countless variations of tacos in Wichita. Try them all and let us know who you think has the best tacos in Wichita! Authentic street tacos made using house-marinated and roasted meats, from-scratch salsas and locally made tortillas. 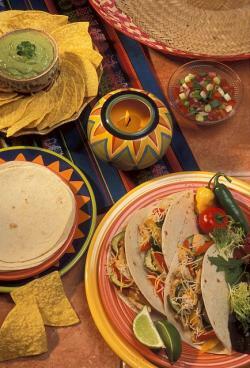 Go with a plate of tacos or choose from the large selection of combos at this Old Town favorite. Molino’s has a large menu full of contemporary Mexican cuisine featuring family recipes, made from scratch and the street tacos are no exception. Grilled mahi, brisket, chicken, steak, ground beef – find them all on the taco menu at any of the three local Carlos O’Kelly’s restaurants. 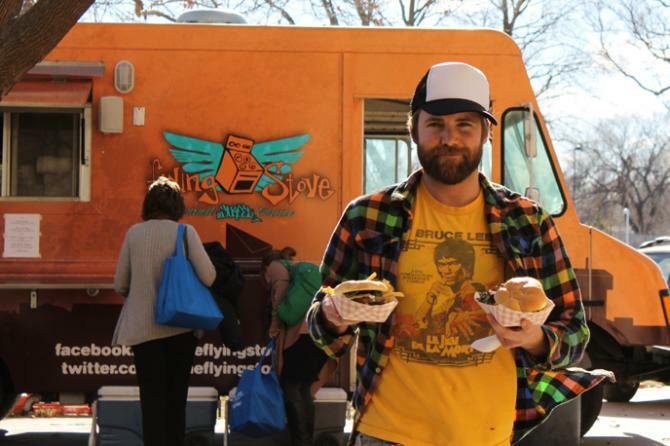 The menu is always changing at this food truck that has been serving gourmet street cuisine in Wichita, KS since 2011. Check their daily menu online if you’re craving tacos; a recent menu included Chicken Doobie Tacos. One of the many Wichita restaurants that offer Taco Tuesday deals! They offer two tacos for $7 filled with your choice of fish, shrimp, steak or chicken. The tacos come with shoestring onions on the side. Travelers are happy to find Jacquelyn Keefer’s health-conscious Lotus Leaf Café when they are in Wichita and looking for raw, vegan, vegetarian or gluten-free meals or prefer clean food made with sustainable ingredients. 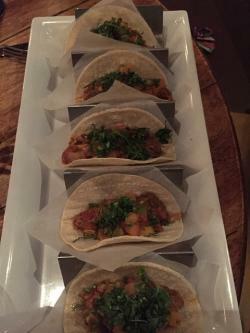 The menu includes tacos vegetarianos – a quinoa/ flax tortilla filled with seasoned roasted chick peas, cauliflower rice, red pepper, red and green cabbage, red onion and jalapeno/mango salsa – and tacos de pescado – a quinoa/ flax tortilla with seasoned cod, red pepper, red and green cabbage, jalapeno, red onion and cilantro lime aioli. Catch the big game on one of their 50 screens and order Big Lou’s Tacos – fried flower tacos stuffed with beef or chicken, along with cheese, lettuce and tomatoes. 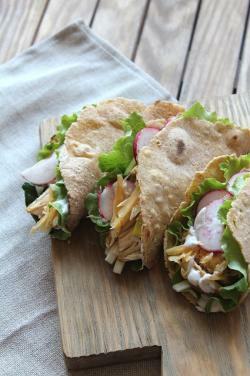 They also offer crispy chicken corn tacos, carne asada tacos and fish tacos. Choose from an extensive list of street tacos – including a veggie option – at this locally owned neighborhood eatery that offers a wide selection of craft beers and a great place to watch your favorite team play. On the second Tuesday of every month, personal chef Roberto comes to the Hopping Gnome taproom and pairs a taco entree with a craft beer. Want that taco flavor but craving pizza too? Try the Mamacita Taco Pizza made with refried beans, taco sauce, ground beef or chicken, cheddar, lettuce, tomato and crushed Dorito chips. It is served with a side of sour cream and salsa. Looking for more places to eat in Wichita, KS? Check out our full listing of Wichita restaurants. * All prices and specials are accurate at the time of publication. If you’re visiting for a specific Wichita restaurant deal, be sure to call in advance to confirm availability.